The first aid kit of every healthy traveler should include items for sun protection and dealing with sunburns. 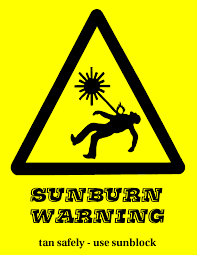 Even the most conscientious person can occasionally get a sunburn, so it’s best to have the right items on hand before the burn starts to heat your skin. When buying supplies for your RV trip, be sure to include these items. Aerosol sunscreens are great for reapplying the protection when you’re out, but you should always start with a good layer of traditional sunscreen. Rubbed in and allowed to dry, it provides you with more protection than the sprays. Keep a bottle in the bathroom and apply it before you get dressed for the morning, then take the spray can with you for extra protection during the day. Nothing protects your neck and shoulders from a burn like a wide-brim hat. Stylish and fun, you can make a fashion statement while protecting the sensitive areas. Let the kids pick their own hats, and remind them to put them on when they head out. It’s a little on the smelly side, but white vinegar removes the sting from the sunburn. It instantly cools your skin, providing you with the relief you need after a severe burn. Soak a paper towel with the vinegar, and then allow it to sit on the burned areas for soothing relief. It’s also handy for cleaning things around the camper, so make sure you add a bottle to the packing list. 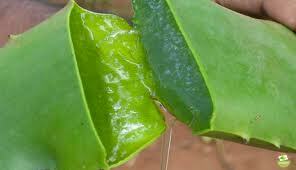 Aloe vera is known for relieving the misery of a burn, and you can enjoy fast relief when you have it on hand. Look for an after-sun cream containing vitamin E and aloe vera. The aloe vera soothes the skin, providing you with pain relief. Filled with anti-inflammatory agents, it also stimulates the immune system for quicker healing. Both ingredients help speed the healing process, so you can forget about the painful burn faster. The sooner the treatment is applied, the faster relief will arrive. Space is tight in an RV, but you should always make room for sunscreen and after-sun treatment. While you hope that you won’t have to use the aloe vera gel, it’s still wise to have it on hand. You never know when you might get so caught up in having fun that you forget to put on some sunscreen.